Whether you’ve been invited to a special party, staying the weekend at your co-worker’s beach house or are simply visiting your sister’s family for the holidays, you don’t want to show up empty-handed. Tis the season for hostess gifts! 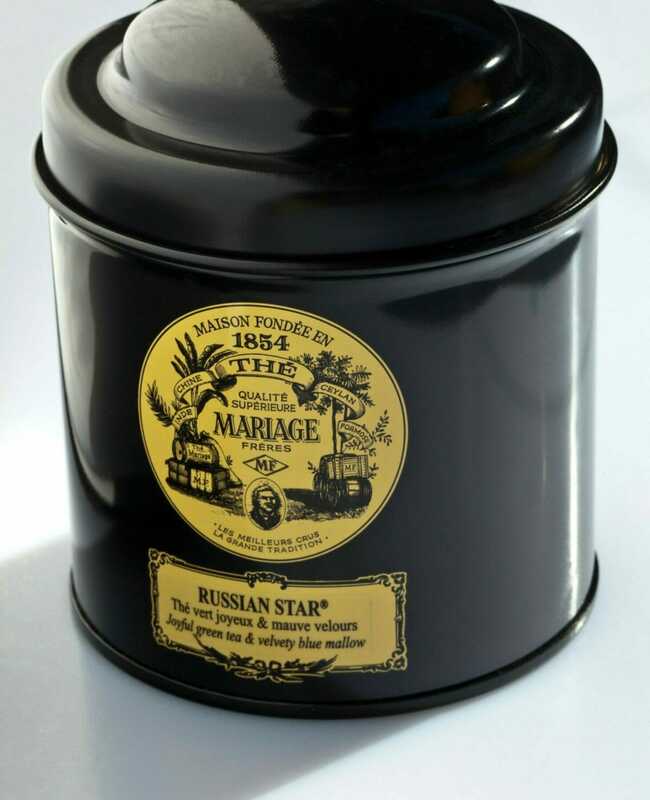 Mariage Frères Tea. It’s not just tea; it’s a lifestyle. Bring in a sense of je ne said quoi with this exquisite tea. Perfectly packaged in a keepsake tin, these come in a variety of flavors—all of which smell divine. Extra points if you’re bringing some back from a recent trip to Paris—otherwise, you can find them at specialty stores like Dean & Deluca. What Do You Meme? Tired of ‘Cards Against Humanity’? Try ‘What Do You Meme?’, the latest adult party game that’s sure to inspire nonstop laughs. You compete to create the funniest meme by pairing caption cards with a photo card, and a rotating judge chooses the winner for each round. (Note: the product description explicitly specifies that this game is not intended for children. You have been warned). Beautycounter Citrus Mimosa Set. With its minimalist packaging and EWG-friendly safety standards, this hand wash and lotion set from Beautycounter is simultaneously luxurious and practical. Beautycounter prohibits the use of over 1,500 harmful or questionable ingredients in the production of their products, without compromising design or effectiveness. It’s a great self-care and wellness gift! Pendleton Blanket. A classic Pendleton throw blanket is the perfect complement to any cozy couch—if your hostess busts it out during your stay, you might get to snuggle up in it! It’s comfy with major coolness factor, and this one was designed in honor of Glacier National Park. It’s also available in twin and queen size if you prefer that to a throw. It’s 100% virgin wool, made in the USA, and a definite crowd-pleaser! Heath Ceramics Serving Platter. Heath Ceramics is renowned for their beautiful glazes and understated ceramic pieces, but this serving platter takes it a step above and beyond. The platter has a beautiful etch pattern of the camellia flower, and the result is just stunning. Earn extra brownie points with your hostess by bringing it with a fresh pie on top! Priced at $345, it’s definitely an investment piece, but when you compare that to the cost of staying in a hotel, it’s a great value. Plus, the gift is one that will be treasured and passed on for years to come.